Worcestershire and Leicestershire are the two old competitors in Royal London One Day Cup 2018. Both are very strong teams but in the ongoing season of the tournament, Leicestershire could not show their best form. They have played total five matches where excluding the first match, they faced defeat consecutive four matches including their last. In their last match in the tournament which was staged against Worcestershire, Leicestershire scored very handsome runs. But however, they could not avoid defeat. Calum Ferguson led Worcestershire to victory against Leicestershire in the match. He played brilliantly and scored highest 192 runs. Based on his score, team Worcestershire successfully chased big target. If we consider the statistics of Worcestershire, they are doing very good in the season of Royal London One Day Cup 2018. They have played also five matches in the season but managed highest 4 victories. As a result, they are holding the top position on the pount table now. Worcestershire won their last two matches consecutively in the tournament. Their last match against Leicestershore took place in 29th May, 2018 and the home venue of Worcestershire hosted the match between them. Earlier in 29th May, 2018 team Leicestershire won the toss and as usual decided to bat first. They had a chance to got the toss favour and they took it. Cameron Delport and captain Paul Horton started the innings fo Leicestershire. Openers added 46 runs when Cameron was gone with 20 runs individually. Later, skipper Paul Horton and Ben Raine made a long partnership that added more than 130 runs to the scoreboard. Paul Horton scored 79 runs and Ben Raine scored 83 runs so far. Later, Mark Cosgrove and Colin also played well. Both of them scored 70 and 71 runs respectively. Colin and Tom finished the innings by remaining unbeaten. By losing four wickets team Leicestershire scored 376 runs in 50 overs. The score was so handsome and almost impossible to chase. Bowlers of Worcestershire were too expensive. Ed Barnard took highest 3 wickets and Moeen Ali took 1 wicket for the team. Later, Worcestershire came to chase the score. In 5 runs opener MoeeN Ali was gone. He did not open his run account. In the 2nd wicket partnership, team Worcestershire added almost 140 runs when Joe was gone with 62 runs so far. Callum stood strong at the end of the crease. He played with Daryl and scored highest 192 runs so far. he faced 143 balls and made 21 4’s and five 6’s. Daryl scored 50 runs and Brett scored 54 runs for the team. 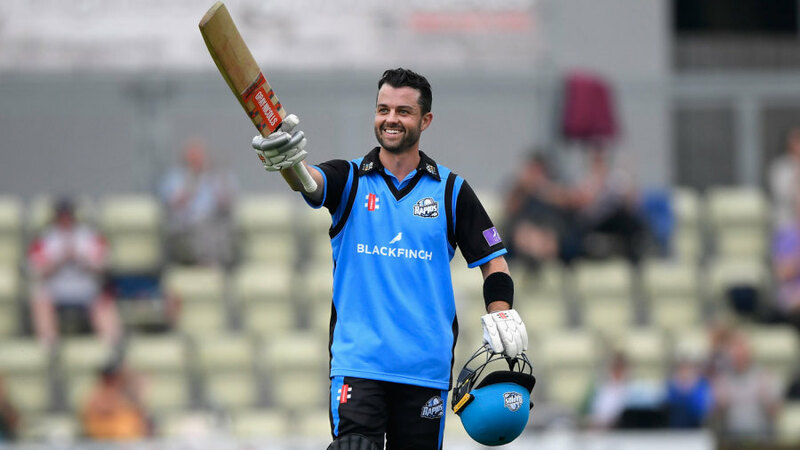 By losing four wickets in 47.2 overs team Worcestershire scored 380 runs so far.